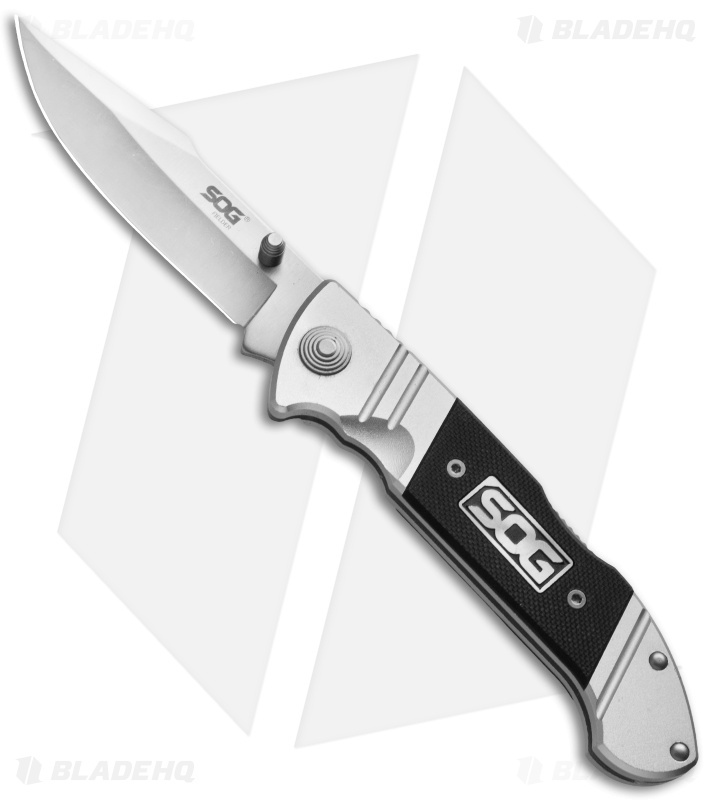 SOG gave the Fielder Assisted folding knife classic looks, modern materials, and their easy-to-use assisted opening technology. 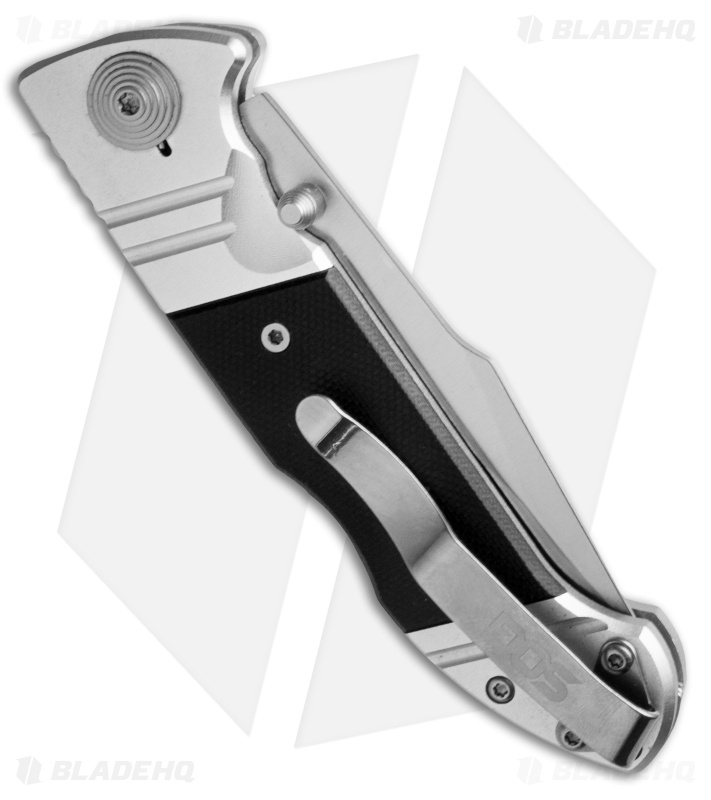 The silver finished aluminum handle is fitted with black G-10 scales and utilizes the proven lockback locking mechanism. It's paired with a satin finished stainless steel blade with thumb stud opener and a fine, sharp cutting edge. Everyday compatible with a deep-carry pocket clip. I got one of these as a gift from one of my groomsmen a few years back. I carried it for a little bit and it's not a bad knife I just don't like it. It's a little too hefty and the blade stock to me just seems lacking. It feels fine in hand and the profile is almost reminiscent of a Spartan sword yet somehow I just hate to carry it.